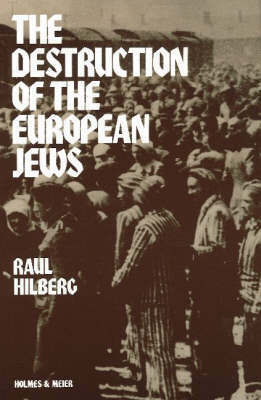 In 1961, Raul Hilberg, first of the “Holocaust” historians, “the pope” of exterminationist science, published the first version of his major work, The Destruction of the European Jews. He expressed in doctoral manner the following thesis: Hitler had given orders for an organised massacre of the Jews and all was explained as somehow coming of those orders. This way of displaying the merchandise was to end in a fiasco. With the revisionists asking to see the Hitler orders, Hilberg was compelled to admit that they had never existed. From 1982 to 1985, under the pressure of the same revisionists asking to see just what the magical homicidal gas chambers, in technical reality, looked like, he was led to revise his presentation of the holocaustic product. In 1985, in the “revised and definitive” edition of the same book, instead of taking an assertive, curt stance with the reader-customer, he sought to get round him with all sorts of convoluted phrases, appealing to a supposed taste for the mysteries of parapsychology or the paranormal. He expounded on the history of the destruction of the European Jews without in the least bringing up any order, from Hitler or anyone else, to exterminate the said Jews. He explained everything by a kind of diabolical mystery through which, spontaneously, the German bureaucrats told themselves to kill the Jews to the very last. “Countless decision makers in a far-flung bureaucratic machine” took part in the extermination enterprise by virtue of a “mechanism”, and did so without any “basic plan” (p. 53); these bureaucrats “created an atmosphere in which the formal, written word could gradually be abandoned as a modus operandi” (p. 54); there were “basic understandings of officials resulting in decisions not requiring orders or explanations”; “it was a matter of spirit, of shared comprehension, of consonance and synchronization”; “no one agency was charged with the whole operation”; “no single organization directed or coordinated the entire process” (p. 55). In short, according to Hilberg, this concerted extermination had indeed taken place but there was no possibility of actually demonstrating it with the aid of specific documents. “What began in 1941 was a process of destruction not planned in advance, not organized centrally by any agency. There was no blueprint and there was no budget for destructive measures. They were taken step by step, one step at a time. Thus came about not so much a plan being carried out, but an incredible meeting of minds, a consensus-mind reading by a far-flung bureaucracy”. To sum up, that vast project of destruction was executed, magically, by telepathy and by the diabolical workings of the “Nazi” bureaucratic genius. It can be said that with Hilberg, historical science has thus turned cabalistic or religious. Broad was released as early as 1947 (15) although the British could have shot or hanged him without further ado, since every German, especially every SS man, was free game at that time. Quite obviously, early release was his reward for services rendered, services which continue to comprise a major contribution to solidifying the image of the “Final Solution,” at that time still in the unformed, fluid state. It is simply quite untrue that piles of documents blazed at Auschwitz, since huge numbers of documents are available precisely from this largest of all “extermination camps”. The Moscow Special Archives contain approximately 90,000 pages of documents from the Construction Administration, i.e., precisely the same organization which was responsible for the construction of the crematorium and therefore, according to the Holocaust legend, for building the gas chambers allegedly located in the crematoria. During two rather lengthy stays in Moscow (July-August as well as November-December 1995), we examined all 90,000 pages of documents together with the Italian researcher Carlo Mattogno (Mattogno’s American publisher Russell Granata was also present during the first visit). Some of these documents, perhaps 20,000 pages, consist of copies made by the Germans of other pages; approximately 70,000 other pages are primary documents. Not one single document provides any proof of mass gassings of human beings. This in no way surprised us, since if such a document had existed, it would long ago have been triumphantly displayed to the world. Two prominent representatives of the extermination school, Jean-Claude Pressac and the British Jew Gerald Fleming, have both worked in this archive and examined part of the documentation. Neither Pressac nor Fleming found the long-sought documentary proof for the homicidal gas chambers. In autumn 1944, when the decision is made to evacuate Auschwitz before the approaching Red Army, Commandant Richard Baer issues the following order to his subordinates: “Sort out all the documents which prove the gassing of the Jews, and burn them, but leave all other documents lying around for the Russians”. Could anything be more naive? They could have burnt the entire archive of documents in a few hours! QUITE OBVIOUSLY, THE REASON WHY THE GERMANS LEFT ALL THE DOCUMENTS BEHIND WAS BECAUSE IT NEVER OCCURRED TO THEM THAT THE DOCUMENTS COULD INCRIMINATE THEM IN ANY WAY! The same applies to the camp Majdanek, for which mountains of documents are also available. The implications of this statement are clear. The vague reference of “three or four people” indicates that the alleged plan is actually a nebulous assumption on the part of the writer. In the absence of evidence Poliakov assumed that a plan to exterminate the Jews must have originated between June, 1940, and June, 1941. He added, quite unnecessarily, that extermination was never part of the original National Socialist plans for dealing with the Jews. He claimed that the decision of extermination was made when it became evident that Germany was involved in a long war of doubtful outcome. His assumption is that Hitler was determined to avenge the slaughter of Germans with a massacre of Jews. The same writer claimed, however, that Hitler abandoned the extermination program in October 1944, for fear of retribution in case Germany lost the war. Assumptions, assumptions. Poliakov noted that Eichmann was busy with the Madagascar project for Jewish settlement abroad throughout 1941, but the German Foreign Office was informed in February 1942 that this plan had been abandoned at least temporarily. Poliakov argued that the Germans were necessarily thinking of extermination when they shelved their overseas emigration plan. He recognized as a corollary that he also must show that they were not pursuing a plan for the settlement of the Jews in Eastern Europe instead of overseas. According to Poliakov, there were three clear stages of a general extermination policy. Phase one, beginning in June, 1941, and directed exclusively against Soviet Jews, has been dealt with. Phase two, beginning in March, 1942, constituted the first actions to bring together many of the Jews of German-occupied Europe and place them either in Poland or in concentration camps. Phase three, beginning in October 1942, was the action to concentrate most Jews, including those of Poland, in camps. The final phase of general internment is supposed to imply the permanent denial of a Jewish haven either in Eastern Europe or overseas. No documents! So they guess. Poliakov represented the liquidation of Jews in concentration camps as proceeding throughout phase two as well as three. He accepted the previously cited statement of Dieter Wisliceny from the documentary collection to the effect that the plan to exterminate European Jewry was abandoned by Himmler in October 1944. Poliakov claimed that Göring was involved in the extermination program, although Charles Bewley, Hermann Göring (Göttingen, 1956) has pointed out that no evidence was found at Nuremberg to substantiate this charge. What strikes one most in the voluminous literature dedicated to the “extermination” of the Jews is the disparity existing between so grave an accusation and the fragility of the evidence furnished for its support. The elaboration and realization of so gigantic an “extermination plan” would have required a very complex organization, technically, economically, and administratively, as noted by Enzo Collotti: It is easy to understand that so horrifying a tragedy could not physically be carried out by only a few hundred, or even by a few thousand, that it could not be accomplished without a very extensive organization, benefiting by the help and collaboration of the most diverse sectors of national life, practically all branches of government, in other words, without the collusion of millions of people who knew, who saw, who accepted, or who, in any case, even if they did not agree, kept silent and, most often, worked without reacting in making their contribution to the machinery of the persecution and the extermination. … there is, in truth, nothing that this adversary has not confided to papers. 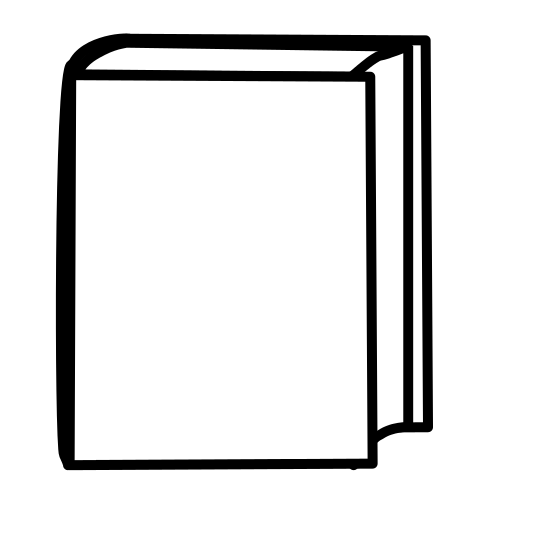 … all the secret archives of the German government, including the documents of the Ministry of Foreign Affairs, the Army and the Navy, of the National Socialist Party, and of the Secret State Police [Gestapo] of Heinrich Himmler. Those archives were seized by the victorious powers with a view toward the Nuremberg trials: Hundreds of thousands of seized German documents were assembled in all haste at Nuremberg in order to be used as evidence against the principal Nazi war criminals. The Americans alone examined 1,100 tons of documents  from which they selected 2,500 documents. The archives torn from the bowels of the Third Reich, the depositions and accounts of its chiefs permit us to reconstruct in their least detail the birth and the development of its plans for aggression, its military campaigns, and the whole range of processes by which the Nazis intended to reshape the world to their pattern. Only the campaign to exterminate the Jews, as concerns its completion, as well as in many other essential aspects, remains steeped in fog. Psychological inferences and considerations, third-or fourth-hand accounts, allow us to reconstruct the developments with a considerable verisimilitude. Certain details, nevertheless, will remain unknown forever. As concerns the concept proper of the plan for total extermination, the three or four principal actors are dead. No document remains, and has perhaps never existed. That is the secret of the masters of the Third Reich. As boastful and cynical as they were on other occasions, they covered up their major crimes. Since the first version of Léon Poliakov’s work the situation has not changed: Despite the great harvest of Nazi documents captured by the Allies at the end of the war, it is precisely the documents concerning the process of the formation of the idea of the final solution of the “Jewish question” that are missing, to the point that up until the present it is difficult to say how, when, and exactly by whom the order to exterminate the Jews was given. The technical genius of the Germans allowed them to mount, within a few months, an efficient, rationalized death industry. Like every industry it comprised research and development, and administrative services, accounting, and records. Many aspects of these activities remain unknown to us, and remain hidden by a secret incomparably more opaque than that of the German war industries. The German rocket and torpedo technicians, the economic planners of the Reich have survived, and have given up their plans and their processes to the victors; almost all the technicians of death have disappeared, after having destroyed their records. Extermination camps had sprung up at first with rudimentary installations, which were then perfected; who perfected them? A veritable mastery of crowd psychology was manifested, to the end of assuring the perfect docility of the men intended for death who were the promoters? There are so many questions to which, at the moment, we can find only fragmentary, and sometimes hypothetical, replies. Fragmentary information allows us to have an imperfect notion of the part played by the technicians of euthanasia in the extermination of the Polish Jews. But many points still remain in darkness; in general the history of the Polish camps is very imperfectly known. But a systematic “extermination plan” evidently presupposes a specific order that, by force of circumstance, can be imputed only to the Führer. Now one must set down that this phantom-like Führerbefehl (command of the Führer) is submerged in the most impenetrable blackness. To the present day a written order by Hitler regarding the destruction of the European Jewish community has not been found, and, in all probability, this order was never given. There does not exist then, anything like a written order signed by him for the extermination of the Jews in Europe. One cannot fix the exact moment when Hitler gave the order … without doubt never drawn up in writing … to exterminate the Jews. It is not known precisely when the idea of the physical extermination of the Jews imposed itself on Hitler’s spirit. To the present day the question of knowing when Hitler made the decision for the Final Solution of the Jewish question is in abeyance, and for the simple reason that not a single document on the subject exists. The total absence of evidence permits the official historians to give free rein to the most diverse speculations. All that we can affirm with certainty is that the genocidal decision was made by Hitler at a time that may be set between the end of the campaign in the west, in June 1940, and the aggression against Russia, a year later. Contrary to the account of Dr. Kersten, it seems to us more probable to set it some months later [the autumn of 1940], that is to say, at the beginning of 1941. Here we get into the game of psychological deductions, to which we are obliged to appeal in order to provide a response to the second and throbbing question: what could have been the factors that weighed in the Hitlerian resolution? Poliakov affirms, consequently, “with certainty” that the “extermination” decision was made in the space of a year (June 1940-June 1941)! That he brings into play here largely “the game of psychological deductions is demonstrated by the fact that in another work, he moves forward imperturbably by a year and a half the fateful decision of the Führer (September 1939 instead of June 1941). The program of the National Socialist Party called for the elimination of Jews from the German community; between 1933 and 1939 they were methodically bullied, plundered, forced to emigrate; the decision to kill them to the last man also dated from the beginning of the war. It is today verified that the plans for the massive extermination of the Jewish population of Europe had been prepared by the Nazi government before the outbreak of the Second World war, and were thereupon carried out gradually, according to the European political and military situations. Item 79 of the judgment in the Eichmann trial in Jerusalem, on the contrary, maintains that the extermination order “was given by Hitler himself shortly before the invasion of Russia,” while the judgment of the Nuremberg trial pronounces: The plan for the extermination of the Jews was formulated immediately after the aggression against the Soviet Union. In a report drawn up in Bratislava, November 18, 1944, Dieter Wisliceny, former Hauptsturmführer and Eichmann’s representative in Slovakia, affirmed that to his knowledge “the decision of Hitler that ordered the biological extermination of European Judaism [sic]” must be dated back to “after the beginning of the war with the United States,” that is, it would have been after 11 December 1941. This is why all that the official historians can affirm “with certainty,” to use Poliakov’s expression, is that the supposed “decision of the Führer and the alleged “extermination order” were given over a time lapse of nearly two years! Just as fanciful is the sham order of Himmler that would have put an end to the extermination of the Jews. No more than there exists a written order in clear text for extermination by gas at Auschwitz does there exist a written order to stop it in November 1944. Last remark on the gas chambers: Neither at the Nuremberg trial, nor in the course of the different [occupation] zone trials, nor at the trial of Höss at Cracow, of Eichmann in Israel, nor at the trials of the camp commanders, nor from November 1964 to August 1965 at the Frankfurt trial [Auschwitz “second echelon” accused] was there ever produced the famous order signed by Himmler 22 November 1944 ending the extermination of the Jews by gas and putting a finish to the Final Solution. Kurt Becher, former SS Standartenführer, affirmed that Himmler gave this order “between mid-September and mid-October 1944,” which contradicts the testimony of Reszö Kastner, according to whom Kurt Becher had told him that Himmler on 25 or on 26 November 1944 had ordered the crematories and the “gas chambers” to be destroyed and to suspend the “extermination” of the Jews. Strangely, this phantom order that even the Auschwitz Kalendarium puts at 26 November 1944 is deemed to have gotten into the Auschwitz crematories on 17 November, or nine days before the order itself was delivered! According to other testimony reported in Het doedenboek van Auschwitz, the order came from Berlin even sooner, on 2 November 1944. At Nuremberg Wisliceny declared that Himmler’s counter order was sent in October 1944. Such is the most recent conclusion of Exterminationist historiography.